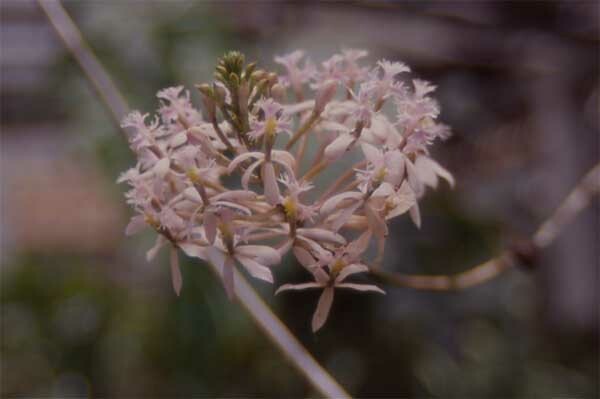 Epidendrum often have large infloresences bearing dozens of small, but elaborate flowers. 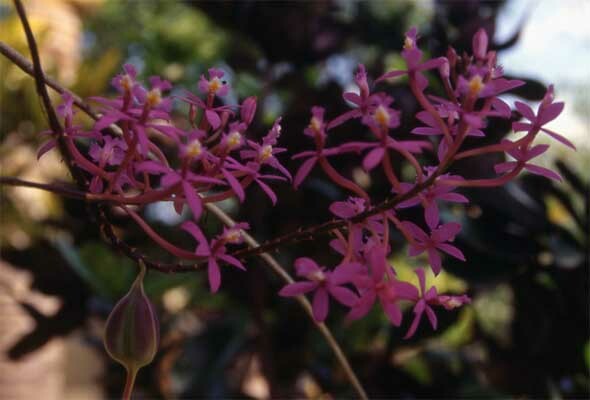 The featured specimen is most likely a variety of E. ibaguense, a widely cultivated species. This species lacks fragrance. 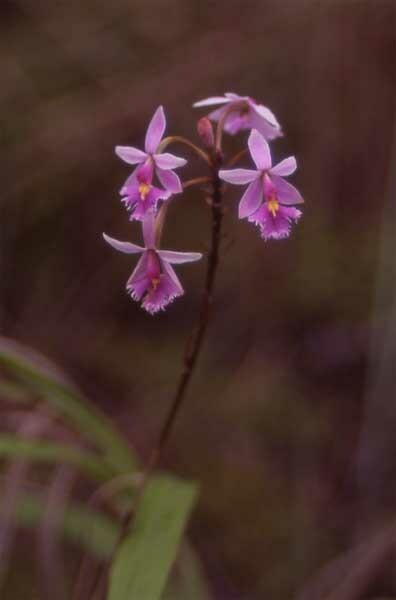 This wild orchid (Epidendrum calanthum) grows on bare rock (= lithophytic). This specimen was growing near the Rio Revantador waterfall in Ecuador. It is a small plant about twelve inches high, and with two or three small flowers at the top of an erect stem.